It is odd to reflect that the idiosyncratic Prospect is the United States’ largest international art biennial. Its first iteration, in 2008, received an enthusiastic critical response but was still finding its infrastructural feet – as was New Orleans only three years after Hurricane Katrina or ‘the great storm’ (people in the city prefer not to humanize it with a name). Six years and two biennials (or, more accurately, triennials) later, Prospect.3 remains a winningly home-grown, scrappy enterprise, but it is also profoundly global. Artistic Director Franklin Sirmans – Curator of Contemporary Art at the Los Angeles County Museum of Art – has found ingenious ways of scrutinizing local themes through the lens of art from far and wide, while also making macro sense of the micro New Orleans context – a place like nowhere else in America. The title he chose for his biennial, ‘Notes for Now’, seems to admit that it is a work in progress. Foremost amongst Sirmans’s curatorial notes are his reflections on Walker Percy’s existential novel The Moviegoer (1961), in which the young protagonist, Binx Bolling, wanders through New Orleans on ‘the search’ for his true self. 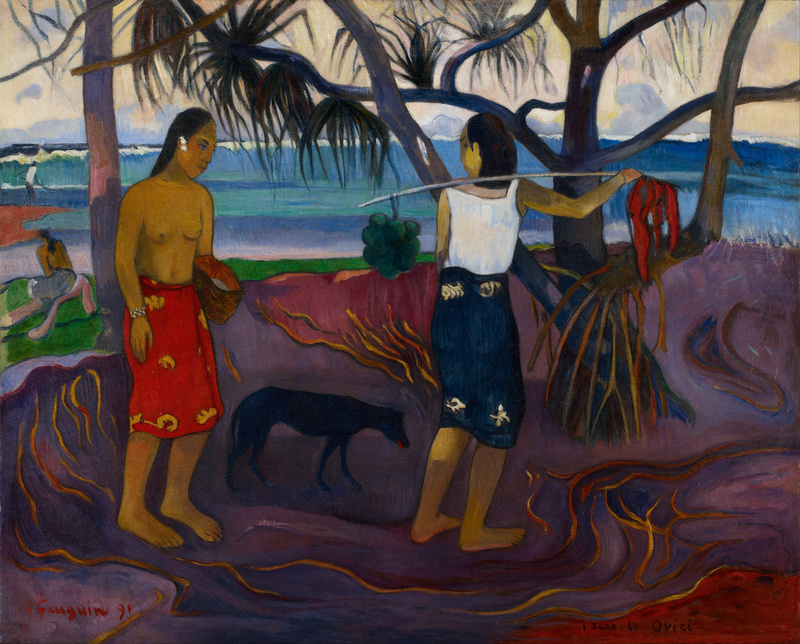 Sirmans also cites Paul Gauguin, who rejected Edgar Degas’s advice to visit New Orleans because he thought it ‘too civilized’; Gaugin went to Tahiti instead, where he painted Where Do We Come From? What Are We? Where Are We Going? (1897) – the title of which is incanted, as a thematic mantra, in Prospect’s exhibition wall texts. Thinking about colonialist exoticization led Sirmans to Brazilian painter Tarsila do Amaral’s 1920s Antropofagia movement, which urged Brazilian artists, writers and musicians to cannibalize the Other (for them, European styles) in order to achieve an authentic cultural identity. Gauguin’s touchstone painting could not travel from the Museum of Fine Arts in Boston, but New Orleans has a Gauguin of its own, on display at the city’s Museum of Art (NOMA), and Prospect.3 borrowed another from the Dallas Museum of Art. In order to widen the historical scope of the biennial, Sirmans tagged a number of works at the museum with P.3 labels – some of which were already on display, others pulled from the collection and many borrowed. A small selection of Tarsila’s drawings and one luscious painting (Anjos, Angels, 1924) hang near Gauguin’s work in the museum. Elsewhere, outstanding pieces by Choctaw-Cherokee sculptor Jeffrey Gibson and Lebanese painter Huguette Caland are displayed alongside equally memorable work by Robert Rauschenberg and Joseph Cornell (neither officially part of the biennial). This approach is just one example of how Sirmans has allowed the edges of his own selection to fray into the existing cultural fabric of the city, achieving a rich texture for his biennial with limited resources. New Orleans is built on a swamp of contradictions: it is a place of social repression and incongruous freedom, of segregation and hybridity, poverty and ostentatious wealth. The city is a magnificent, flawed thing and Sirmans has been prudent not to mess with it too much, or to try to somehow sum it up for a visiting audience. Indeed, there seems very little in Prospect.3 that is tailored to the itinerant art crowd. Andrea Fraser’s electric performance in NOMA’s auditorium, Not Just A Few of Us(2014), was amplified in poignancy because of the mix of constituencies in the audience. Through a verbatim delivery of a 1991 city council debate about discrimination regarding race, gender and sexual orientation in the membership of carnival ‘krewes’, Fraser drew attention to a shocking anachronism while refraining from flattening its complexities. In his catalogue essay and in the wall-texts that are posted at every venue, Sirmans writes about ‘the quest to define the self and interpret the other’. Wherever you hail from, there is a whole lot of Other to interpret in Prospect.3. While about a third of the biennial’s 58 artists are from the American South, others arrived from countries such as Brazil, China, India, Indonesia, South Africa and Vietnam, to name only a few. There is such an overwhelming majority of artists of colour in the show (three quarters, by one estimate, although the press material does not make a big deal of it) that it almost ceases to be a talking point. Almost, but not quite. I can think of several artists – the abstract painters Ed Clarke and Alma W. Thomas, for example – whose work becomes a whole lot more interesting when you discover their ethnicity and, in some cases, their age and gender. (Thomas was the first African American woman both to receive a master’s degree from Columbia University and to be given, in 1972, a solo show at the Whitney Museum of American Art.) The work of another artist, Monir Farmanfarmaian, only opened up to me when I discovered that she is a 90-year-old Iranian woman whose mirrored mosaic sculptures were influential on New York Pop art. Don’t get me wrong: I was impressed beyond words by the effortless multiculturalism of Prospect.3. But, more often than not, I found myself enthralled by the Otherness of the artworks in the exhibitions rather than by finding points of shared ground between my own identity and the worlds depicted within them. In some of the best works in the biennial, I think that is the point. The Propeller Group’s film, The Living Need Light, And The Dead Need Music (2014), is a knock-out: it weaves together footage of Vietnamese funeral bands (strikingly similar to New Orleans marching bands) with fire-eaters, snake charmers, sword-swallowers and other unlikely funeral performers, as well as staged scenes of the band sinking into soft sand. The film renders the prosaic (apparently such funeral bands are common in Vietnam) utterly fantastical, and all the more entrancing because of it. At one point, a man calmly pulls a thin white snake out of his nose. This is only one of a number of skilfully produced films that incline toward magical realism – others being David Zink Yi’s film installation of Afro-Cuban musicians rehearsing and performing in Santería rituals, Horror Vacui (2009), Camille Henrot’s desktop history of the universe, Grosse Fatigue (2013), Los Jaichackers’ Subterranean Homesick Cumbia (2013), which relates the mythological birth of Cumbia music in Colombia, and Akosua Adoma Owusu’s spellbinding drama Kwaku Ananse(2014), set in the Ghanaian jungle. These films arrive between unpredictable changes of gear – from Lonnie Holley’s forceful assemblages to Analia Saban’s wittily deconstructed paintings, to the cool photographic gaze of Thomas Joshua Cooper and the garrulous Pop vernacular of painter Douglas Bourgeois. At the Ogden Museum of Southern Art, an exhibition of Jean-Michel Basquiat’s paintings and collages is complemented by the painted wooden reliefs of self-taught New Orleans artist Herbert Singleton. In general, the work that stayed with me was raw and unostentatious: Zarouhie Abdalian’s haunting outdoor mirror and sound installation Chanson du ricochet (2014) rather than, say, Tavares Strachen’s over-hyped barge with its 100-foot long pink neon sign: You Belong Here (2014). There was so much more. Not all of it was to my taste, but almost all of it was surprising. Was I aided in my search for self-knowledge? That’s a tall order, and one I’m not even sure art should be required to fulfil. I don’t need the art that I look at to be about me; I want it to open windows onto other places, and other subjectivities. Universalism in art is, as Sirmans implies, not only unachievable but overrated in the first place. Far better simply to feel at home amongst difference.